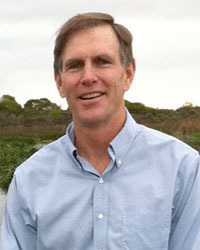 Brad Udall, senior water and climate research scientist at Colorado State University and one of the authors of the National Climate Assessment, said the mountain of evidence regarding the potential impacts of climate change in the Colorado River Basin points to the need for a re-evaluation of current water management. With water levels dropping in key reservoirs, the seven Colorado River Basin states have been embarked on a rigorous process to ink drought contingency plans that would pledge them to additional conservation measures in advance of any declared shortage, an increasingly likely possibility. Five of the seven Basin states have signed on to drought contingency plans, and the Bureau of Reclamation is pressing the other two – California and Arizona – to finalize their plans by Jan. 31, 2019, to avoid federal intervention. If implemented, the plan would cover a period to 2026 and address the near-term threat of a shortage declaration. In 2020, talks will begin toward addressing longer range concerns on the river’s sustainability as part of the renegotiation of the shortage sharing guidelines adopted in 2007. Those who live with Colorado River management every day believe the science points to the need for a re-oriented version of how the seven Basin states proceed. “We have to take our infrastructure and our management techniques and our policies and our law and examine how those function and how they don’t function, and how they have to be strengthened or supplemented in a way that does account for the new reality, which is warmer temperatures,” said James Eklund, Colorado’s representative to the Upper Colorado River Commission. Chris Harris, executive director of the Colorado River Board of California, said the “take-home message” of the National Climate Assessment and other reports is that past droughts may not be the template of what to expect in the future..
“There is something going on in the world and we have to keep relying on scientists to continue to do the good work they are doing and bring us the information that all water managers need, whether you are in the Colorado River Basin, the Sierras or other portions of the western United States,” he said. Stakeholders in the Colorado River Basin have to be all-in on addressing the situation because of the consequences of inaction, Eklund said. “If we don’t do anything, we know that for a fact it’s going to be a much harder row to hoe if we keep getting the hydrology that the climate models suggest we might get,” he said. The National Climate Assessment is the latest entry in a growing body of research about the present and projected effects of climate change, including what’s expected to happen in the Colorado River Basin – the source of water for 40 million people. Udall co-authored a 2017 study with Jonathan Overpeck that for the first time linked the Colorado River’s declining flows since 2000 to climate change. A 2018 article by Udall and University of California, Los Angeles co-authors Mu Xiao and Dennis Lettenmaier said streamflow in the Upper Colorado River Basin (which produces about 90 percent of the river’s entire runoff) declined by 16 percent between 1916 and 2014, despite a slight increase in annual precipitation during that time. The 1922 Colorado River Compact allocated 15 million acre-feet of water from the mainstem river, plus an additional 1.5 million acre-feet in Arizona. Published in the September edition of Water Resources Research, the article said that “pervasive warming” has reduced snowpack and enhanced evapotranspiration during the last 100 years and that more than one-half of the long‐term decline in runoff is associated with the general warming. 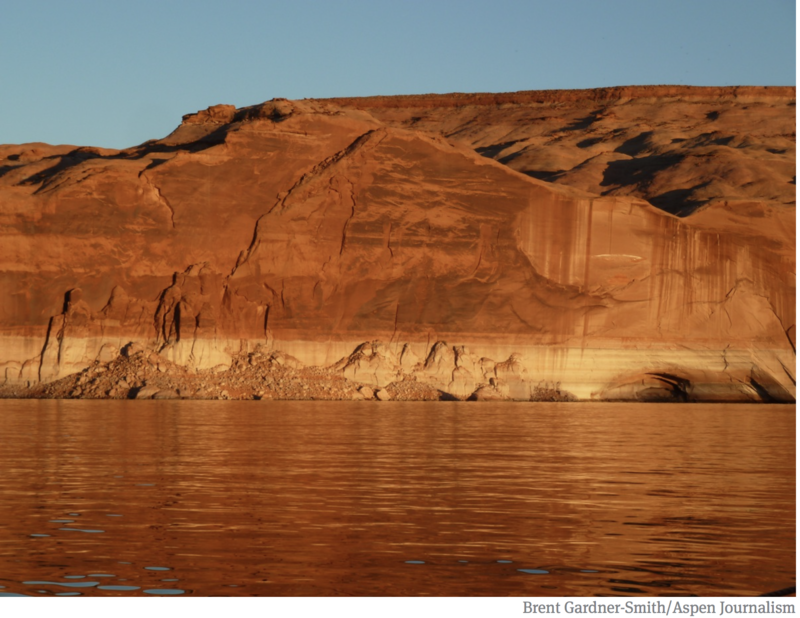 Drought regularly happens in the Colorado River Basin, but the effects in the last 20 years or so have been particularly pronounced, leading its major water users to regularly caucus in search of immediate and long-term management solutions to preserve the two anchors of the storage and delivery system — Lake Powell and Lake Mead. Udall believes it is time to recalculate the 3.2-million-acre-foot imbalance estimate. University of Arizona Professor Gregg Garfin, one of the authors of the National Climate Assessment, said despite the size and scale of the Basin study, many of its aspects need to be revisited as new information comes to light. 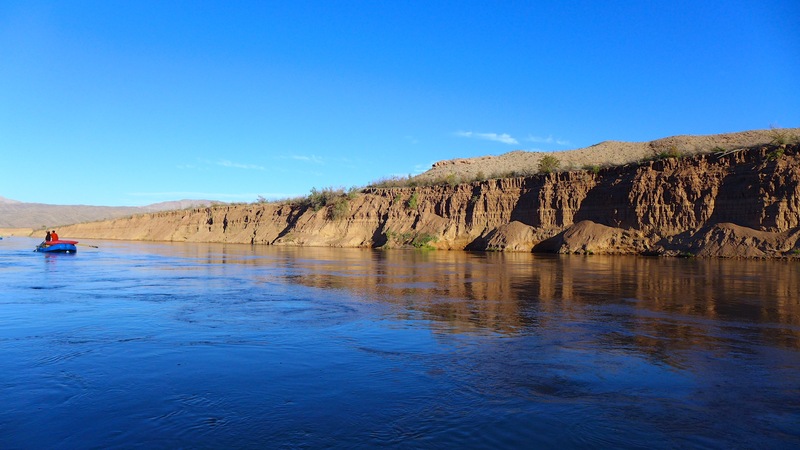 Accounting for and incorporating the latest scientific information is part of Reclamation’s strategy for helping to manage resources in the Colorado River Basin, said David Raff, Reclamation’s science adviser and scientific integrity officer. “As new information has been brought to the table … the Bureau of Reclamation’s approach has always been to try to include as much information as possible in a risk context and work with the stakeholders in the Basin to try to analyze the risk and address it the best way possible,” he said. Raff said the emphasis should be on the immediate actions designed to manage the river and avoid critically low reservoir levels. Because the breadth of scientific work on the Colorado River Basin covers so many different aspects — things such as dust on the snowpack, runoff and climate change — scientists note that no one element tells the entire story. Much of what is expected to happen in the Colorado River Basin is couched by several variables, including changes in water demand and the rate of greenhouse gas emissions. According to the National Climate Assessment, under certain scenarios, higher temperatures would cause more frequent and severe droughts in the Southwest, including megadroughts — dry periods lasting 20 years or more. Eklund said the climate assessment’s release “was incredibly well-timed” considering the present focus on drought contingency discussions. He extolled the candor of the report’s authors. 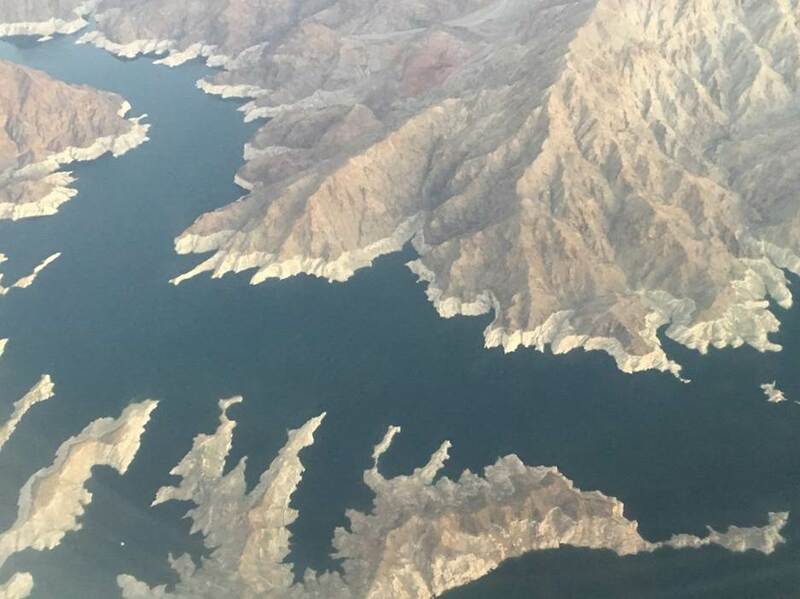 Many people view the drought contingency planning effort as “maybe one of our first steps in the renegotiation of what the next set of operational guidelines might be for the Colorado River system,” Harris said. In the meantime, those dependent on the Colorado River will keep looking at ways to tighten their belt and become more creative. “When it comes to projected reduced Colorado River flows, we will continue to be doing more projects and activities in the areas of water conservation, water augmentation and use of banked groundwater,” said Mohammed Mahmoud, senior policy analyst with the Central Arizona Project. Raff with Reclamation said the issue goes beyond the climate assessment and the controversy associated with its political ramifications. “Future climate consideration is a major aspect of how we consider the Colorado River Basin,” he said. Despite the new information, Raff said he believes the findings of the 2012 Basin Study showing an imbalance between supply and demand remain valid. Improvements are needed in precipitation modeling for the Basin as well as the ability of scientists to give decision-makers the best possible information upon which to proceed. Projecting temperature and precipitation into the future is uncertain and the science community and policymakers need to continue to work together to find the best ways to achieve that, Raff said. Udall echoed the need for better, more informative data, saying that scaling global climate models down to the regional level remains problematic and that science needs to come up with “realistic, believable” future flow scenarios to aid officials in their decision-making. “We have really struggled to come up with projections of hydrology that are believable, that track with what we are actually seeing as the years go by and represent the system in a realistic and credible way,” he said. Then there is the need to better understand and anticipate how much precipitation can be expected in such key places as the headwaters of the Colorado River as autumn segues into winter. While the science improves, stakeholders getting ahead of the curve is a good development, Udall said. However, merely approving a drought contingency plan isn’t a guarantee of success, Eklund said.